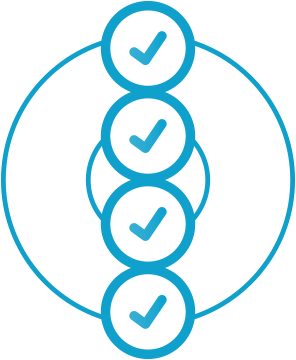 Status - Store, synchronize and protect your patient data securely. Stratus Hybrid Cloud’s based storage offers many advantages to organizations, including reliability, elasticity and cost efficiency that far exceed traditional storage architectures. However, there are significant challenges around security, access performance, and compatibility with existing IT architectures. Organizations utilize cloud storage in diverse scenarios, including branch offices, remote offices and mobile workers. That makes balancing performance, data security and manageability a real challenge that cannot be addressed by ‘one size fits all’ architecture. The Stratus Hybrid Cloud architecture makes it possible to embrace cloud storage for a variety of deployment scenarios without having to integrate disparate technologies. It provides a mix of hardware and software options, and allows a company to balance cloud versus on-premises storage requirements. Multiple applications on a single platform: Rather than use disparate storage silos, Stratus Hybrid Cloud allows you to create cloud file sync & share, mobile collaboration, backup and Remote Office/Branch Office storage solutions using a single platform. Highly cost-efficient: With cost-effective appliances and our highly optimized cloud storage infrastructure, you can deliver services at a fraction of the cost of traditional enterprise storage silos. Security and authentication: Stratus Hybrid Cloud solution was build with security in mind, providing built-in AES-256 encryption, native Active Directory and LDAP integration and single sign-on, and granular role-based access controls. Multiple deployment options: Optimize performance and end-user experience with our storage gateways for remote offices and branches, managed agents for laptop users, and our Mobile App for smartphone and tablet users. Enterprise-grade robustness and scalability: A true multi-tenant, multi-tiered and scalable solution, supporting high-availability and load balancing, with policy-based central management that scales to tens of thousands of sites and end-users. Rapid launch and deployment: The rich functionality provided by Stratus Hybrid Cloud Portal and ease of deployment and remote configuration capabilities of Stratus allow you to create and launch storage services in a matter of days, no custom development required. Remote sites take advantage of Stratus High-Availability Appliance and benefit from local storage access performance, coupled with cloud-based data protection aggregated for all on-premises users. 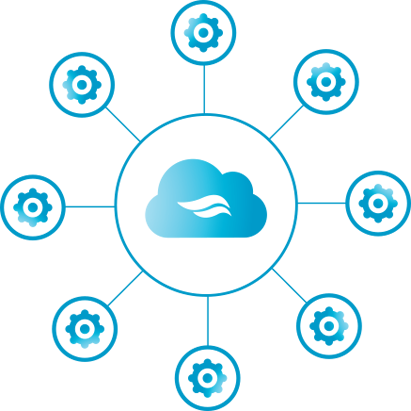 Individual users install the Stratus Agents on their workstations to synchronize and share files and folders and enjoy reliable backup, both done directly to the cloud. Mobile workers use the Stratus Mobile App to access and share files from smartphones and tablets. Stratus Hybrid Cloud Portal aggregates cloud storage access from all end-points, appliances, agents and mobile apps. The portal ensures data consistency, maintains version history and facilitates file sharing amongst users, regardless of their access method. 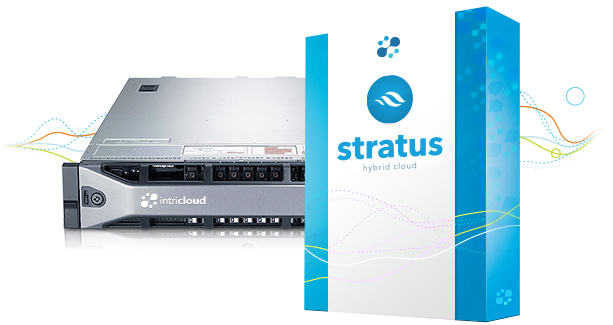 Stratus Hybrid Cloud employs both global source-based de-duplication and data compression. This ensures that only incremental data changes are transferred for storage in the cloud, and that data blocks are stored only once, which dramatically reduces storage capacity needs and overall network traffic. The Stratus Hybrid Cloud gateway appliances and end-point agents are remotely managed with Stratus Hybrid Cloud Portal using a single web-based console. Template-based management, centralized monitoring, customized alerting and remote software and firmware upgrade capabilities make it easy to manage appliances of various types and sizes as well as individual end-point agents – up to tens of thousands of connected devices – with no need for on-site IT presence in remote locations. Intricloud Backup is a comprehensive data protection solution for laptops, workstations and remote servers. It provides both direct-to-cloud and appliance-based hybrid modes. Subscribe to our newsletter and be the first to know about our articles, news and special deals.